Anish Majumdar (anishmajumdar.com) is an author, journalist and speaker interested in breaking down the wall of silence that surrounds mental illness. His first novel The Isolation Door, which is based on his experiences growing up with a schizophrenic parent and creating a life beyond its shadow, is now available. My brother was convinced most of the time that he was not mentally ill. That his problems stemmed from having been scalped (his brains escaped along with the blood) or that he’d been shot in the head. His schizophrenia was treatment resistant; medication subdued the symptoms a bit, but most of the time he was pretty confused and delusional Caring for him was difficult. In my book, Shot in the Head, A Sister’s Memoir a Brother’s Struggle, I take the reader through what it is like to be the caretaker of someone like Paul. Such a confusing mix of caring and wishing I could just get away. But ultimately, Paul was a person, deserving of better care than our medical establishment delivers. Thank you for the great article. It is helpful to hear it from someone who has dealt with it first hand. First off, thank you for your article. I wish you would of not used the word schizophrenic. Instead replace it with a person with schizophrenia. My son developed schizophrenia coming out of the armed forces, after 5 years at war. It has been a long journey, thank you Veterans Hospital. He tells me please address it…. 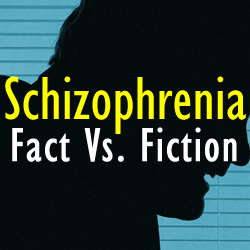 as him with a disease , not as him being labeled a schizophrenic. This term has so many misconceptions, I agree..thank you so much. Overall, very helpful article! The WHO study now has been debunked as being conducted improperly. There is no proven statistical difference of recovery in developing versus developed world in regards to schizophrenia. Hi, I was diagnosed bipolar then schizophrenic. As a Chrisitan, I can see why a psychiatrist would label a person who is ardent and passionate about their convictions especially if what we have to say is foreign to them. I don’t expect for them to know the Christian lingo, but perhaps they need more education on the different philosophical lifestyles besides a non-mental healthy psyche. I had paranormal experiences and on one of those occasions got admitted to the hospital worst thing that could have happened to a human soul who is spiritual and religious. I’m no phony I did have visions, I did have a divine connection with another person that might have influenced my psychosis. Anway, we are gifted souls in matter displayed in the psyche and revealed to humanity even if they label us. The important thing is not to let a label destroy or crush our true spirit and essence. Namaste.